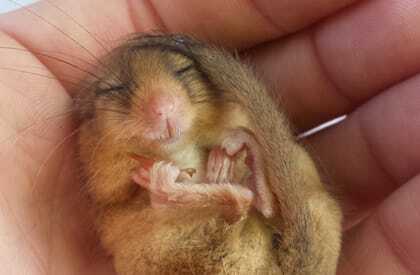 Dormice are found in a variety of habitats including deciduous woodlands, hedgerows, scrub and sometimes within plantation conifers or rural gardens. They are nocturnal mammals that build nests in woody vegetation in the summer and hibernate in nests at ground level in the winter. 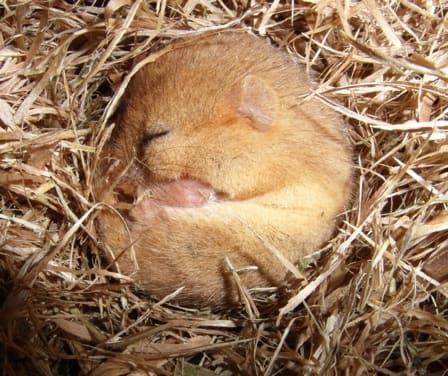 They are European protected species and any development where there is a reasonable likelihood of dormice being present and affected by development will require a survey by a suitably experienced and licensed ecologist. Surveys include looking for hazelnuts opened by dormice, looking for nests and deploying nesting tubes and boxes that dormice use to build their summer nests in. Dormouse surveys are seasonally constrained. We therefore recommend that you Contact Us at the earliest opportunity in order to plan your surveys and subsequent works to prevent unnecessary costs and delays. Activities likely to result in disturbance or killing of dormice or damage to their habitat will require a development/mitigation licence. 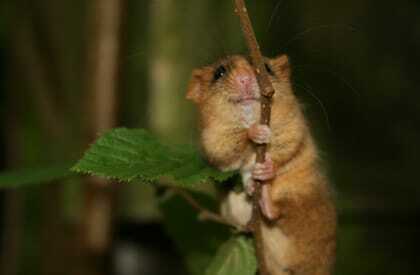 For more information, please read our Dormouse Survey Information Sheet.